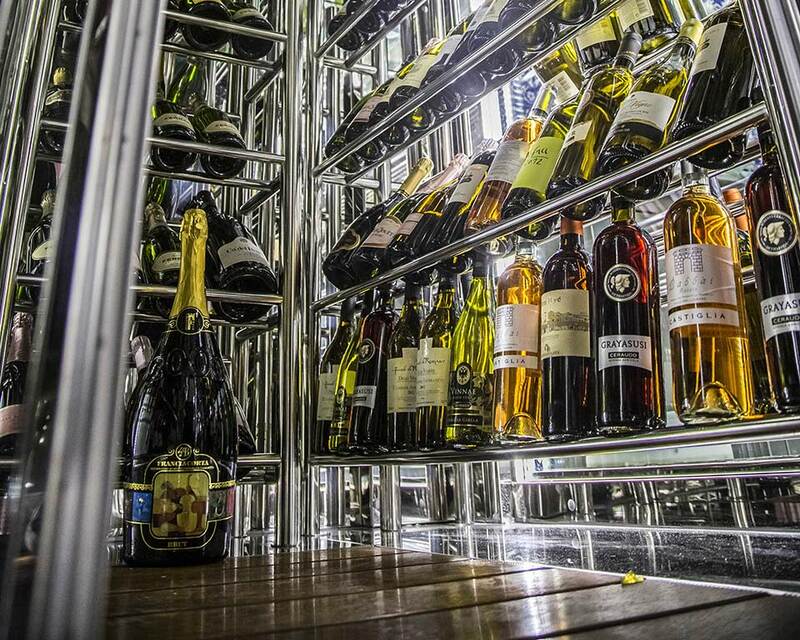 The cellar offers a careful and refined selection of wines with a total of 850 wines, Italian and international ones, and a particular focus is put on the local production. In the wine menu, constantly evolving, there are several European labels, the most valuable ones, as well as wines belonging to more distant cultures and productions, in order to offer a tasting experience that can pass through those wines from around the world. The most demanding lovers of wine have the opportunity to personally enter the open-plan wine cellar and taste every bottle. Asit is constantly updated and enriched, the wine cellar in some periods may have some differences from the menu published online.